Description: A large bird, the turkey vulture has a wingspan of up to 183cm (72 in), a length of up to 81cm (32 in), and weight of 0.8-2.3 kg (1.8-5.1 lbs). Feathers are brownish-black, with the flight feathers on the wings appearing to be silvery-grey beneath. 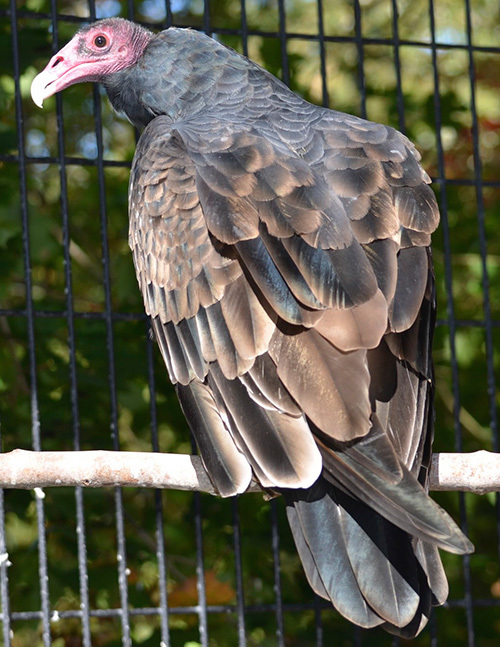 A turkey vulture’s head is small and red in color with few to no feathers and a short, hooked beak. There are two long, blunt talons at the front of the foot with one talon at the back of the foot. 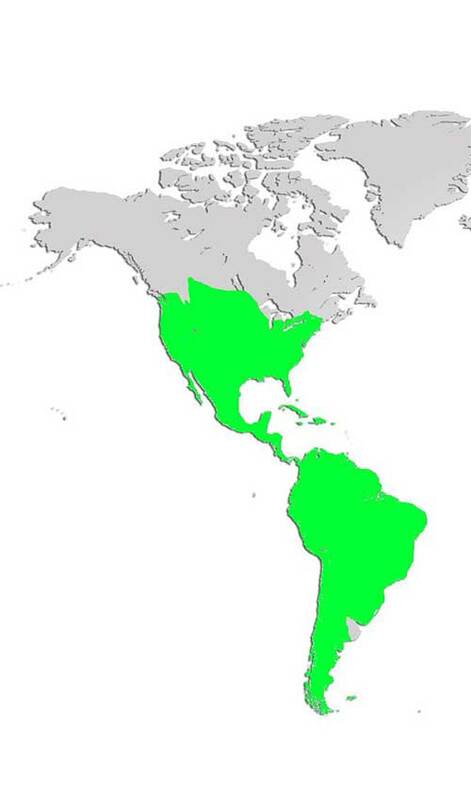 Distribution and Habitat: The turkey vulture is found from southern Canada to the southern tip of South America. Usually found in open areas with forests nearby for nesting. Birds from the northern part of the range will migrate south for the winter. Diet: Scavengers, turkey vultures eat dead mammals and birds. Life Cycle: Breeding season varies depending on location and can start as early as March in southern areas and last until August in more northern areas. A clutch of 1-3 eggs, cream coloured with brown or purple spots, are incubated for 30-40 days. The chicks are helpless at birth and both parents care for and feed them for 10-11 weeks. Did you know? The turkey vulture is able to soar on the slightest updrafts for hours on end without a single wing beat. Although often held in poor regard in the western world, in some eastern cultures vultures are sacred animals that release the soul from the body after death. These people practice the tradition of allowing the bodies of loved ones to be consumed by vultures rather than buried.